​Stormwater pollution is considered one of the most significant water pollution problems today, according to the United States Environmental Protection Agency. 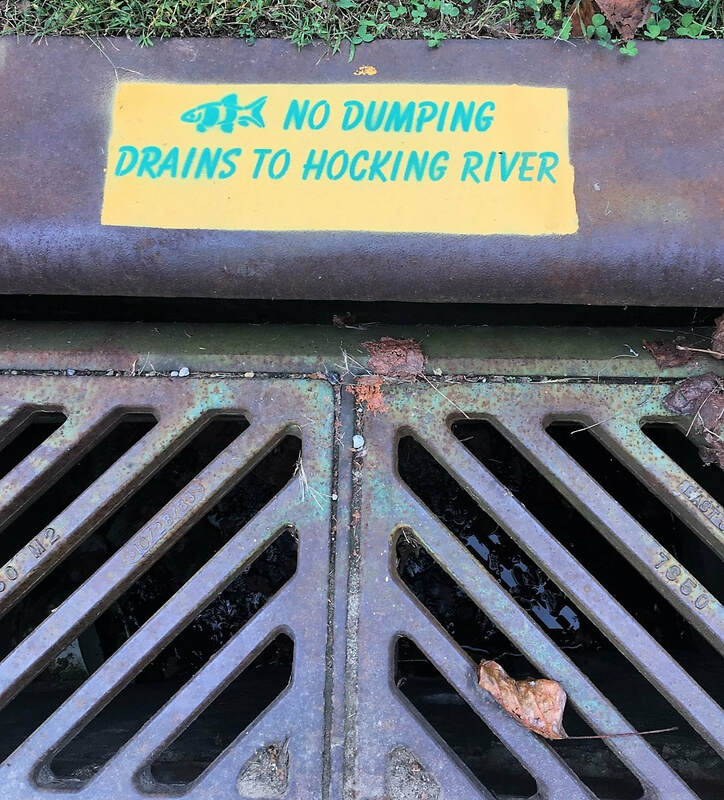 Urban stormwater carries sediment, oil, grease, gasoline, lawn care chemicals, dust from tires and brakes, and bacteria from animal waste, all of which are pollutants that impair the streams and the Hocking River in the Athens area. 1. Public Education and Outreach – provide educational programming to educate the public about stormwater issues. 2. Public Involvement and Participation – develop activities to improve public stormwater awareness. stormwater system; create a storm sewer mapping system; and map all residences that have private sewage systems in the city limits. 4. Construction Site Stormwater Runoff Control – develop a program for the City to enforce the OEPA Construction Stormwater General Permit for construction projects within the city limits. This program requires persons performing construction to submit a stormwater control plan and permit application to the City Code Enforcement Office prior to construction. 5. Post-Construction Site Stormwater Runoff Control – develop a program for the City to enforce the OEPA post- construction stormwater runoff control requirements for construction projects within the city limits. 6. Pollution Prevention and Good Housekeeping – develop a program for examining sources of pollution within city departments and promoting good housekeeping measures to prevent pollution. These requirements are authorized by the City of Athens Ordinance 0-52-11 which created Title 5.07 – Stormwater Regulations. The City is currently ramping up its stormwater program in order to comply with OEPA’s permit. What is Urban Stormwater Run-off and What Can You Do To Reduce it? There are many ways that you as a landowner can help manage stormwater runoff. Some ways that you could capture or use water off of your rooftop would be rain barrels or rain gardens. Rain barrels allow you to capture the water to recycle and use for watering your flowers or even washing your car. Rain gardens allow the water to filter through the ground, while also getting the benefit of watering your plants. Other management practices you could use would be: picking up after your pets, sweeping debris from your driveway and road, using porous materials on your driveway, or even storing your chemicals properly. It only takes one person improving there management to help our waters quality. Let this change start in your household! - Require construction projects that disturb soil to get a storm water permit from the City and to have a storm water management plan using best management practices to prevent sediment from leaving the site. - Prevent illegal connections and discharges to the storm sewers. 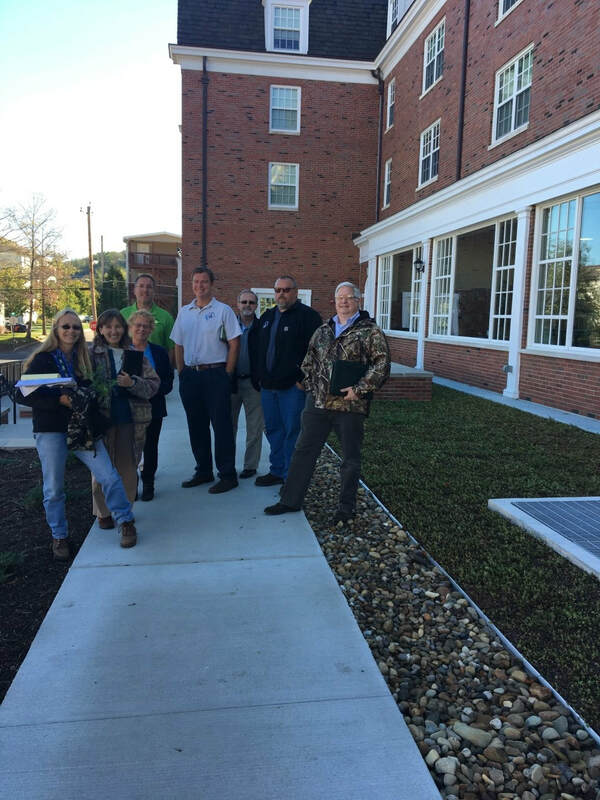 On October 17, 2017, the City of Athens Stormwater Pollution Prevention Team toured several permanent stormwater control best management practices on the Ohio University Campus. 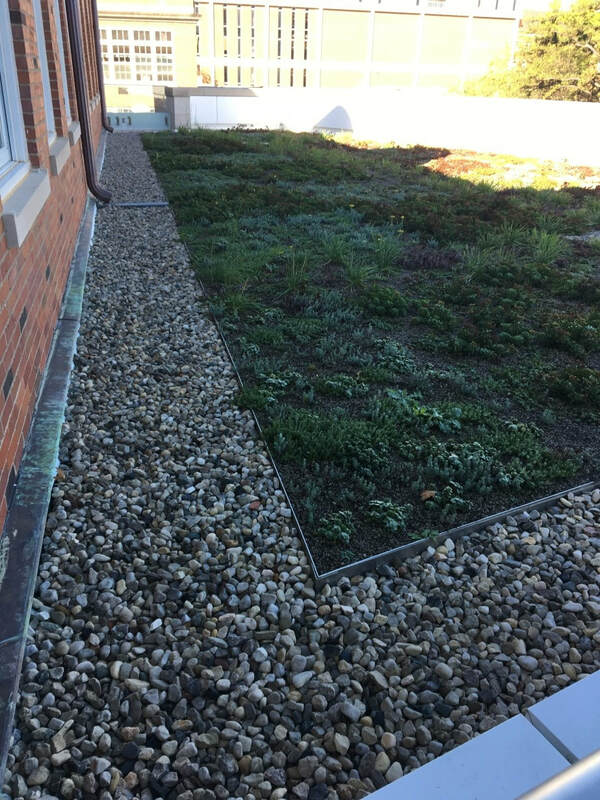 The University installed green roofs at McCracken Hall and Jefferson Hall during renovation projects in 2016-17. The purpose of a green roof is to utilize the soil as a filter to remove pollutants while providing moisture for the plants and to absorb as much roof runoff as possible to minimize the increase the potential for offsite flooding. A side benefit is an attractive garden. The team thanks Ohio University for their hospitality and their commitment to green infrastructure. Green roof at recently renovated McCracken Hall. The Athens SWCD Stormwater Coordinator is concluding the year’s GPS (Global Positioning System) data collection of the storm sewer system for the City of Athens. This year the focus has been on the west side area bordered by West Union St. on the north, Depot St. on the east, Oxbow Creek and the Hocking River on the south and United Behavioral Health on the west. 332 points were surveyed. Some of you may have noticed the street landscaping project on West Union Street in front of the old railroad depot. This is part of a storm water management project in the City of Athens. The storm sewer for this area drains about 140 acres of the west side of town and crosses West Union Street. under the new traffic circle. The storm water management project consists of three parts: The storm water bio- retention boxes along the sidewalk into which the street runoff is directed for plant watering, pollutant removal, and infiltration; a grit removal vortex device buried adjacent and connected to the main storm sewer to remove grit and solids from the storm water; and a stream restoration at the outlet of the main storm sewer at the end of Depot Street to restore the natural habitat for the stream. The project is funded in part by the Ohio Environmental Protection Agency through their Storm Water Improvement Fund (SWIF). It is expected to be completed by June 2015. The Athens Soil and Water Conservation District partnered with the City of Athens to provide design input and public education for the project. If you want to learn more about this project click here for a copy of the brochure. As a native plant addition to the City of Athens’ Union Street Sustainable Stormwater Improvement project, students from Hocking College recently met with Steve Stone on his family farm to dig native ferns to transplant to the project site. A total of 45 ferns were transplanted. Steve Stone is the owner of Meadowview Tree Farm in Nelsonville Ohio and a board member of the Athens Soil and Water Conservation District. The students are members of Kim Caudill’s GeoEnvironmental Site Assessment class at Hocking College. The stormwater improvement project included removal of invasive species such as bush honeysuckle and replanting with native species. For more information about the stormwater improvement project visit http://www.ci.athens.oh.us/index.aspx?nid=310. On November 5, 2015, the Athens Soil and Water Conservation District and the City of Athens Fire Department teamed up to survey Hocking River outfalls by boat. The city is in the process of mapping all pipe outfalls and stream discharges to the Hocking River for their stormwater program. Since 2012 the city has made an effort to identify these discharge points and storm sewers to update the storm sewer map and to look for and identify illegal discharges to the storm sewer system. The fire department participated in order to provide water rescue training for staff.